Another of the lesser known streets of the CBD of Adelaide runs from King William Street down to Victoria Park in the south-east sector - Halifax Street. Halifax Street was named after one of London's leading bankers of the mid-nineteenth century, Thomas Hallifax, and due to a mispelling in the South Australian Gazette and Colonial Register in 1837, the street became known as the name with only one L.
So why would one of the streets of Adelaide be named after a London banker? Apparently banks and financial houses in Britain were going through a transformation which more closely allied them to government agencies. Thomas Hallifax was reportedly responsible for introducing "letters of credit", which customers travelling overseas could confidently present to overseas banks such as those already established in South Australia. Walking along Halifax Street revealed a good mixture of heritage as well as trendy cafes/restaurants in a less busy part of the city. Here are nine places I found interesting whilst exploring the area. 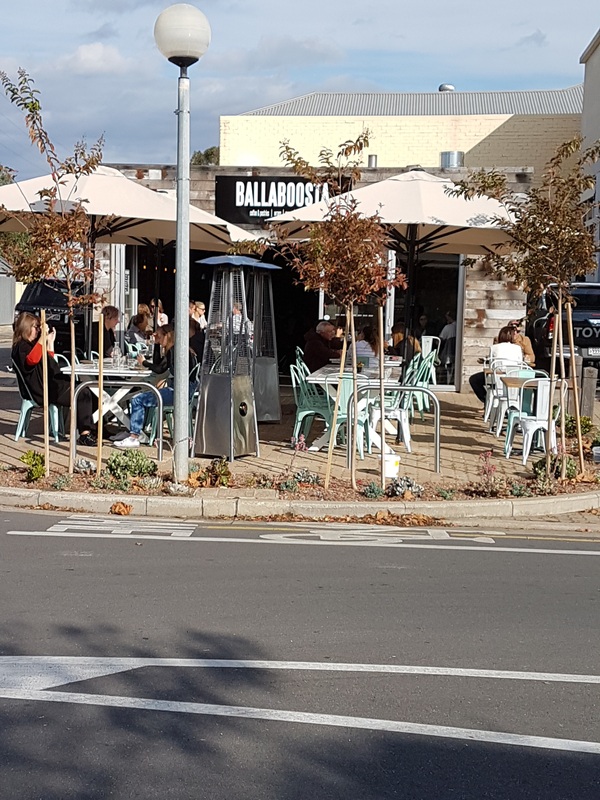 You never know what you might discover when you venture down some of Adelaide's streets and one of the relatively new surprises was Ballaboosta, a cafe which specialises in wood fired pizzas, which had a previous life as a laundromat. The name Ballaboosta is derived from a Yiddish term "Balaboosta" meaning "the perfect housewife, wonderful mother, cook and gracious hostess". 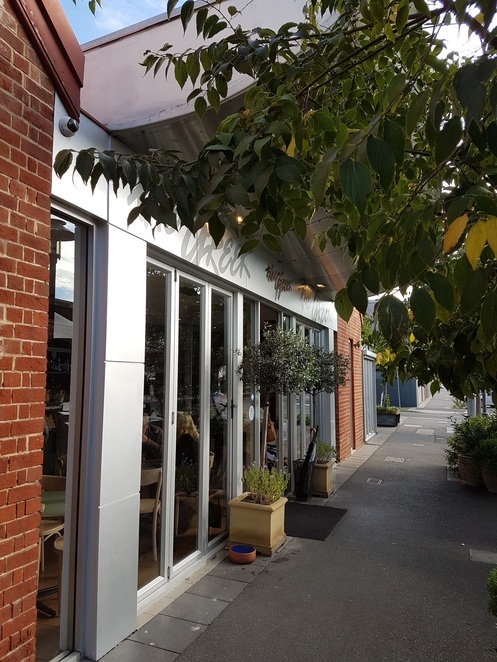 The cafe has only been established since May 2015 but oozes a great ambience, particularly on a sunny day, sitting outside. Starting the day with breakfast, Ballaboosta has some tempting offerings on their menu, including a Vegetarian Breakfast comprising fresh cherry tomatoes, baby spinach, mushrooms, mozzarella and egg baked on their signature flatbread in their wood fired oven. This will set you back around $11. Other options include Baked Eggs for $12, a Ballaboosta breakfast which has added premium leg ham also for $12, and a delicious Meditteranean Omelette for $11. Ballaboosta's famous wood fired 17 inch pizzas will cost you $17 and they also have a good range of flatbreads, salads as well as street mezze, ranging in price from $7 to $14 dependent upon your selection. Also a great place to stop for coffee and dessert! 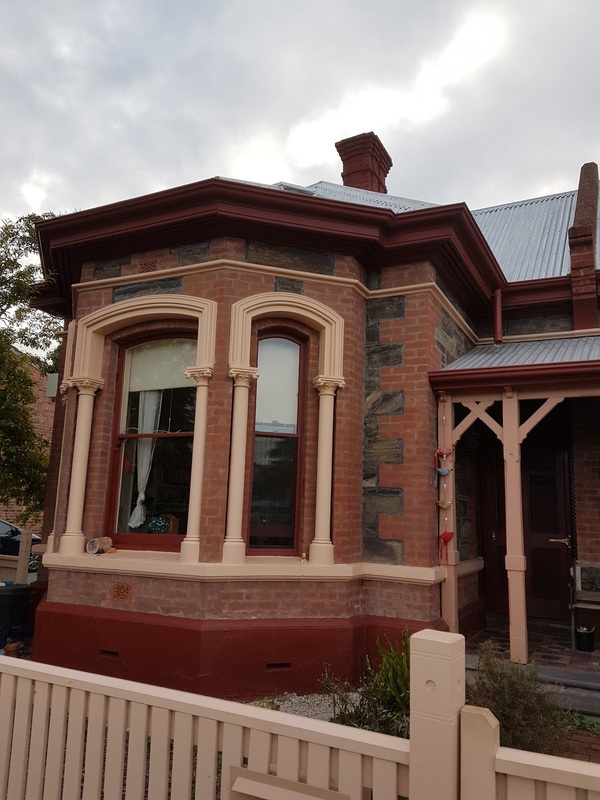 Ballaboosta is located at 289 Halifax Street, near the corner of Hutt Street and is open 7 days a week - Mondays to Saturdays from 7.30 am until 9.30 pm and Sundays from 8 am until 4 pm. 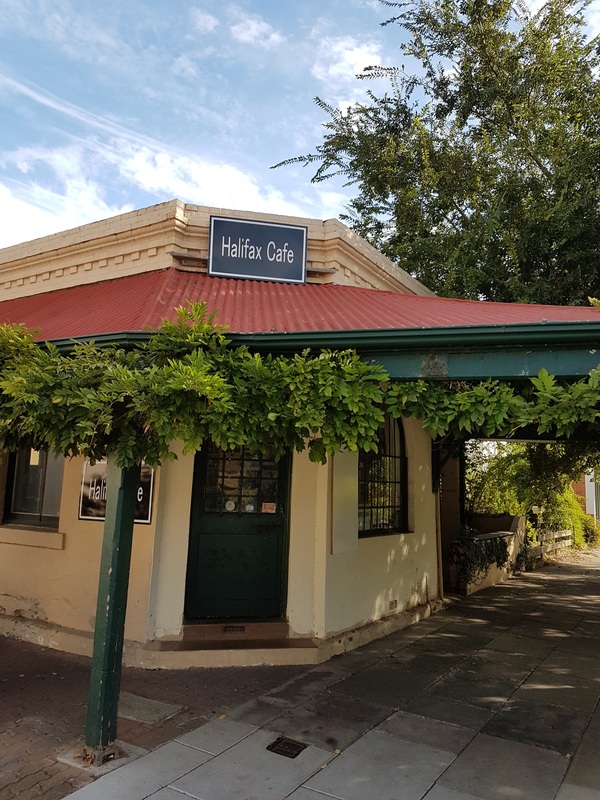 Halifax Cafe is located in an historic corner heritage property and offers options of eating inside the premises or at outdoor tables and chairs. Open for breakfast and lunch, Halifax Cafe also has regular evening sessions, with the next dinner being hosted on Friday 30 June. The menu on that night will comprise Lasagne, Chocolate Mousse and a glass of wine for $25. Other dinners on offer periodically offer a choice of courses, with a total of 3 courses for $48 or 2 courses $43. 8223 1362 or via email on halifaxcafe@live.com.au. A great place for a weekend breakfast or a catchup with friends for a coffee and chat. Halifax Cafe is located at 187 Halifax Street in the city and is open for both breakfast and lunch - 7.30 am until 5.30 pm Monday to Friday. The Rob Roy Hotel has had a licence operating under that name since 1840, its first licencee being Robert Peter. The first hotel was a single storey cottage, the two storey western wing being added in the 1840s/1850s and the two storey eastern wing in 1881. Like many of the hotels around Adelaide, the Rob Roy had successive owners, including being leased to Sir Edwin Thomas Smith's brewery for over 30 years, up to 1900, the SA Brewing Company for 22 years up to 1922 and the Walkerville Co-operative Brewing Company from 1922. The SA Brewing Company bought the hotel in 1938 and various alterations have been made since, both during the 1970's and the 1980's. 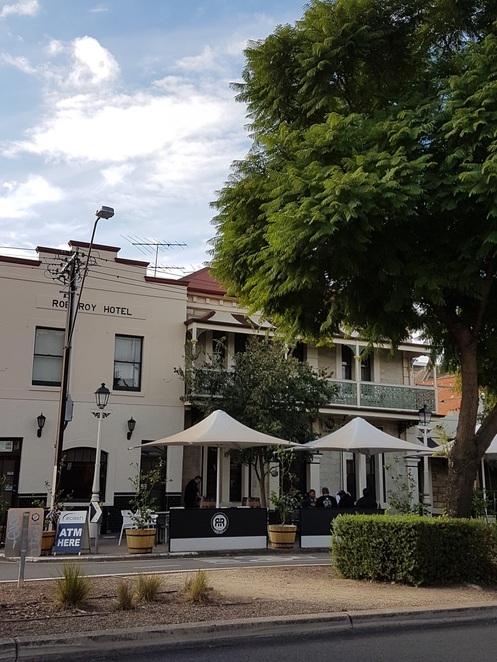 A story has been told that one of South Australia's first criminals who was hanged was caught in the Rob Roy Hotel, with justice being carried out in nearby Hurtle Square. The most recent change of ownership has been in October 2015 and features of the re-modernised hotel include a bistro facing Halifax Street, a function room designed to cater for sit down up to 110 and stand up cocktail functions up to 200 people. The good old pub classics like schnitzels, fish and chips, steak sandwich or parmigiana will cost you between $22 and $25. Burgers can be devoured for around $19 and mains between $25 and $38. Twelve inch pizzas are around $17 to $25, dependent upon the desired toppings. Desserts will set you back between $12 and $14, including a creme brulee with citrus biscotto ($12). The Rob Roy is open from 11 am until late 7 days a week and can be found at 106 Halifax Street in the city. The name says it all as far as authentic Greek food is concerned. Operating since 2002, The Greek has been recognised for its high quality food and service, including awards obtained from the Lifestyle Food Channel's Favourite Greek/Mediterranean Restaurant. The restaurant is very much family-run and offers traditional Greek food with a modern twist. Some of the items on offer via the menu include Souvlaki for $32, Yiros for $27, traditional Moussaka for $32 and Seafood Metaxa for $36. The Greek feast which caters for groups of 15 or more will cost you $55 per head and includes starters of dips and grilled Cyprus style cheese (Saganaki Haloumi), platters comprising home made herb rice wrapped in vine leaves, beef meat balls, marinated olives as well as zucchini and cheese croquettes. The mains platter consists of lightly fried calamari, marinated lamb cutlets and skewered char-grilled fillets of marinated chicken. All is accompanied by an authentic Greek salad. The breakfast menu will cost you between $12 and $19 and if you are into amazing Greek desserts then a great range is on offer for between $7 and $12. The Greek on Halifax is located at 75-79 Halifax Street right in front of the historic Refuse Destructor chimney and is open 7 days for breakfast, lunch and dinner, opening at 8 am on weekdays and 8.30 am on weekends. At the site of the current Greek on Halifax Restaurant lies a slice of history revealing its many uses over the years including its former use as a Refuse Destructor, dating from 1909. 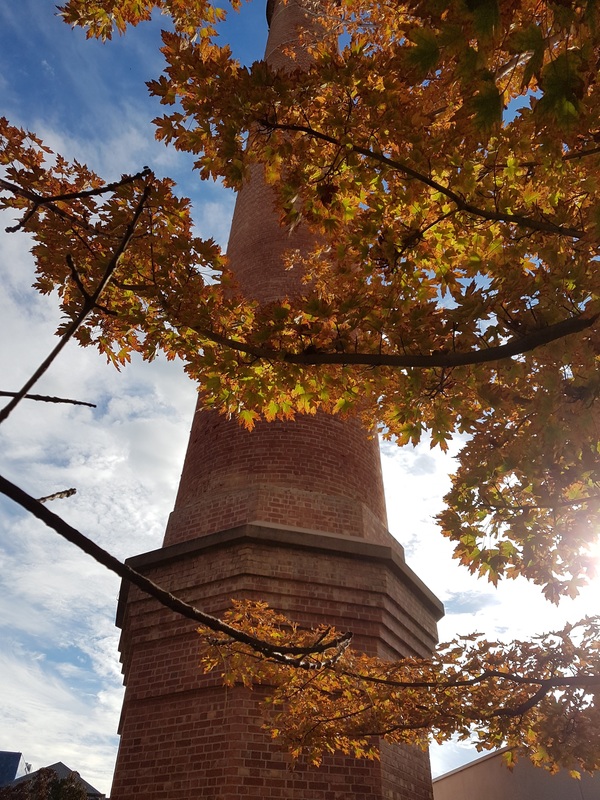 The historic chimney remains, all that is left over from the complex which included the destructor, disinfector building, a tin bailing press, clinker paver mill, a brewery (one of Adelaide's first), flour mill, biscuit factory, mortar mill, boot and vinegar factories and a flag making plant. The refuse destructor operated right up until the 1950's for Adelaide's rubbish disposal, until such time as it was sent out to Wingfield. The Destructor operated 24 hours a day and apparently the furnaces produced so much heat that the resultant steam powered an electricity generator. The complex also used the steam to disinfect laundry. Both bedding and clothing were fumigated in the building which now houses Greek on Halifax. The historic building which once housed the Q Theatre started life as a Sunday School in 1882, owned by the Stow Church. By 1890 477 children were taught religious instruction by 23 teachers. In the early 20th century, the building became a centre for missionary work, particularly during the Depression. Following World War 2, activities gradually declined and from the 1950's was leased to various companies. The Q Theatre started up in 1970, run by Don and Betty Quin and in its heyday seated up to 150 patrons, on seats acquired from the old Theatre Royal. In 1972, Robert Stigwood, a well known theatrical entrepreneur sent 7 large paintings of actors from the famous Garrick Theatre in London to grace the foyer. With declining audiences in the 1970's and 1980's, the theatre was forced to close, briefly being resurrected as the John Edmund Theatre and more recently The Q. This historic and imposing church has been operating since 1841 when the original building was erected. The church in its early years was known as "St John's in the Wilderness" due to its location in what was then an almost unoccupied section of the city. The surrounding parklands comprised at that time of groves of dead trees and there was no street lighting, which made the church feel even more isolated. There were stories about patrons of the original church who left the church after services to travel back to the more populated areas of the city, losing their way and finding themselves back at the church. 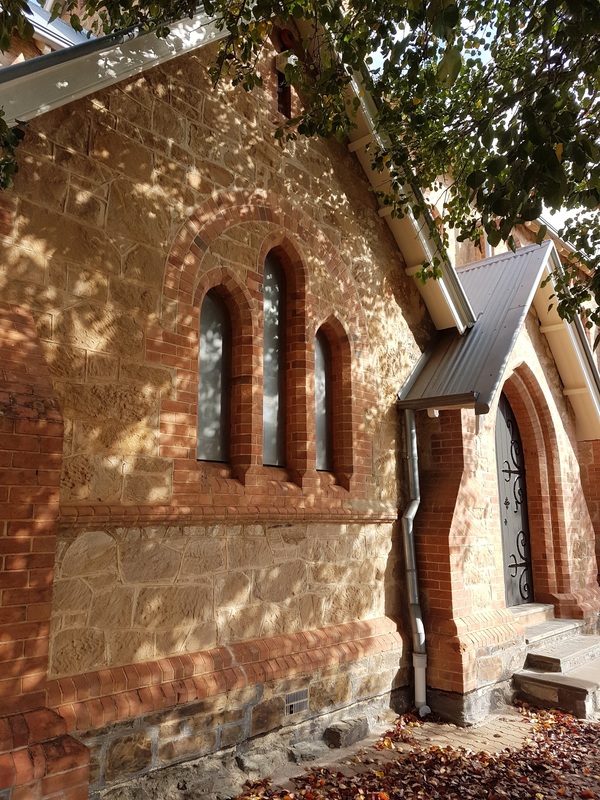 The land on which the church stands was originally donated by Osmond Gilles, South Australia's first colonial treasurer and dedicated to St John the Evangelist. Additions were made to the church during the 1870's and 1880's which included a new rectory and classrooms. Despite this, the Adelaide City Council then proceeded to condemn the church which led to it being demolished in 1886. A new church was erected and opened in 1887, and still operates today. 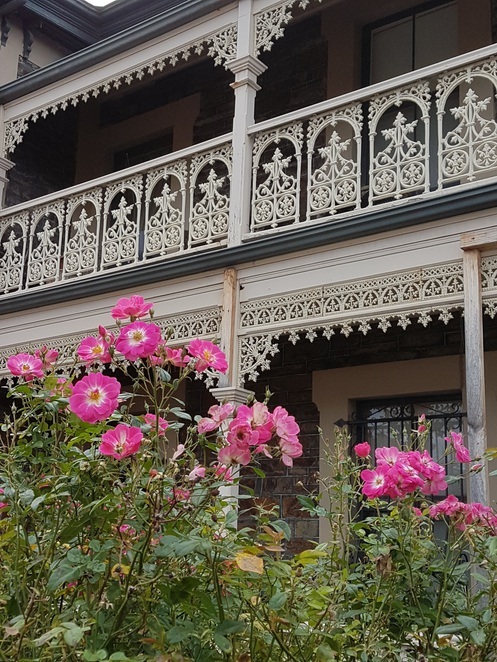 Various stories about characters associated with South Australia's history can be told after delving behind the facades of some of the historic dwellings along Halifax Street. One particular property I discovered has a connection to one of South Australia's well known musical firms, Cawthorne's. Charles Cawthorne not only assisted in the formation of the Adelaide Grand Orchestra but provided the vehicle for the great Australian baritone, Peter Dawson to kick off his career, who became one of the first singers to be heard widely on gramophone. By 1896 Cawthorne's were carrying sheet music from 60 publishers in England, France and Germany and the company also acted as one of the earliest box offices for musical events in Adelaide. Cawthorne was one of number 334 - 338 Halifax Street's first tenants. Another pair of cottages I came across had a connection at one time in the 1870's right through to 1928 to John Stokes Bagshaw, a pioneering agricultural machinery manufacturer, who built the first harvesting machine for John Ridley, as well as designing and producing the first winnowing machine in Australia. 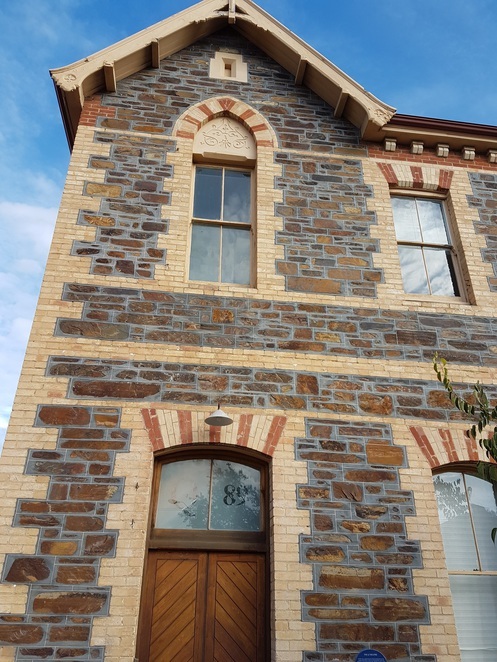 The pair of cottages, dating from the 1870's can be viewed at number 317 Halifax Street. The name alone is difficult to get your tongue around without then trying to grasp the concept of Anthroposophy and all it involves. I stumbled across a building displaying this name, which also houses a book shop. From what I could gather the whole concept revolves around the idea of spirituality opening up various techniques and paths to self-development. The Society was founded by Rudolf Steiner in the early years of the 20th century as a place where people could meet to find their connection to the spiritual world and at the same time discover their own spirituality. Today there are over 900 Waldorf/Steiner schools around the world and South Australia has its own including Trinity Gardens School, Mt Barker Waldorf and Willunga Waldorf. The curriculum is ultra flexible and does not define students by year level but by varying stages of human development. 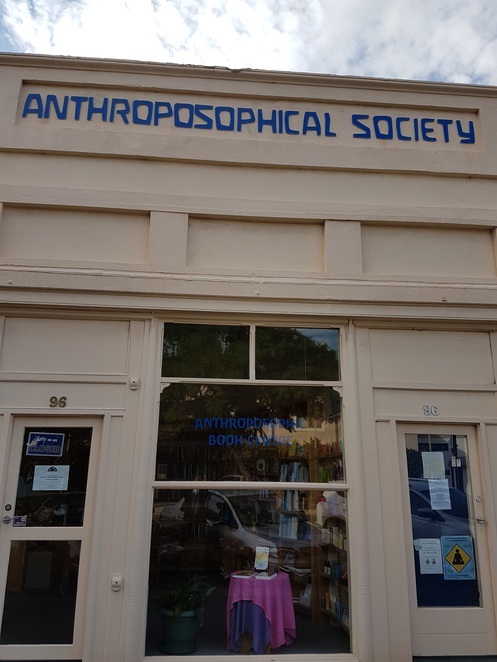 The Anthroposophical philosophy has gradually been infused into various vocations including Agriculture, Medicine and the Creative Arts with the emphasis on forming relevant connections between the body, soul and cosmos. Certainly, it's an alternative way of viewing life as well as different learning styles. These are but a selection of some of the interesting finds on Halifax Street - full of diversity and fascinating places. An excellent set of photos with histories.Lots to like about our city streets..thank you. Interesting article :) Thanks for the info! Loved the article :) Thanks for all that info. We stayed in a lovely little Cottage in Halifax St yrs ago on hols from Brisbane. Wonderful so quaint. Will now go & explore the places you talk abt. Thks for the info.....Adelaide is fantastic, pity more people dont appreciate it. Thank you so much for sharing this information. Really interesting!